Draft: 2004, Milwaukee Brewers, 17th rd. Is married.....wife's name is Jenny.....the couple has three sons, Cameron, Jayden and Landyn ... Graduated from Madison County (FL) High School.....did not play organized baseball until his sophomore year of high school ... Attended Tallahassee Community College ... Is an avid fan of the Dallas Cowboys ... Enjoys video games, fantasy football and spending time with his family. Signed as a free agent with Milwaukee on 1/26 ... Batted a career-high .308 with 10 HR, 38 RBI and a career-high 30 stolen bases in 141 games ... Made 137 starts, all in center field ... Also recorded career highs in walks (71) and on-base percentage (.395) ... Finished seventh in National League Most Valuable Player voting ... Ranked among the National League leaders in on-base percentage (4th, .395), stolen bases (4th, 30) and batting average (5th, .308) ... Was an All-Star for the second time (also 2015) ... Was a Gold Glove finalist in center field for the third time along with the Braves' Ender Inciarte (winner) and Reds' Billy Hamilton ... Was named Brewers Player of the Month for March/April (28g, .290, 4hr, 10rbi, 8sb) ... Tied the franchise record (62x) and a career high with 4 runs on 4/19 vs. Miami ... Hit leadoff homers on 5/10 at Colorado and 8/14 at Chicago-NL.....has 3 career leadoff homers ... Produced a career-high 12-game hitting streak from 8/17-8/30, batting .388 (19-for-49) with 1 HR and 3 RBI ... Had a career-high 4 hits in a game four times.....now has 16 career 4-hit games ... Was on the 10-day disabled list from 6/26-7/7, retroactive to 6/24, with a left groin strain ... Batted .244 (11-for-45) with 1 RBI in 10 games during the postseason. Batted .300 with 15 HR, 49 RBI and 26 stolen bases in a career-high 155 games during his final season with Kansas City... Made 154 starts (151g in CF, 3g at DH)... Set career highs for hits (175), on-base percentage (.363) and walks (54)...Ranked among the American League leaders in stolen bases (T8th, 26), hits (9th, 175), triples (T9th, 5) and batting average (10th, .300)... Was one of just three players (also Jose Altuve and Tommy Pham) in the Major Leagues to produce at least 15 HR, 25 stolen bases and a .300 batting average in 2017... Was a finalist for a Gold Glove in center field for the second time (also 2013) along with the Twins' Byron Buxton (winner) and Blue Jays' Kevin Pillar... Led American League center fielders in starts (151), total chances (443) and putouts (430)... Ranked second in the Major Leagues with a 92.9% success rate (26-for-28) in stolen base attempts, trailing only the Twins' Byron Buxton (96.7%, 29-for-30) - minimum 20 attempts... Was Royals Player of the Month for June (26g, .333, 8hr, 24r, 17rbi)... Belted his second career grand slam in a 12-6 victory on 6/10 at San Diego.....had his fourth career multi-homer game that day to go along with a career-high-tying 5 RBI (now done 3x)... Recorded his second 2-homer game of the season and fifth multi-homer game of his career on 6/16 at LA of Anaheim as he drove in all 3 runs in a 3-1 victory...Batted .357 (80-for-224, 4hr, 19rbi) over his last 59 games beginning 7/26.....he led the American League in hits and ranked second in batting average during that stretch... Signed as a free agent with Milwaukee on 1/26/18. Played in 103 games - his fewest since 2012 - due to hamstring and wrist injuries...Missed 25 games from June 29-July 28 with a strained left hamstring…also missed 29 of the final 30 games of the season due to inflammation in his left wrist...Went 6-for-10 in stolen base attempts before his hamstring injury…was 8-for-9 in following his return...The Royals went 57-44 (.564) with him in the starting lineup and 24-37 (.393) without...Hit .256/.310/.316 (30-for-117) with two home runs and 10 RBI over his first 30 games through May 9...On May 10 at Yankee Stadium, he went 3-for-5 with three home runs, becoming the seventh Royal (ninth time) to record three homers in a game…he's the second visiting player to record a three-homer game at new Yankee Stadium (also, J.D. Martinez)…he's the third Royal ever to turn the trick at Yankee Stadium (old or new), joining Bo Jackson, who did it on July 17, 1990 and George Brett, who did it in Game 3 of the 1978 ALCS...Hit .351 (39-for-111) in the month of May with six home runs and 25 RBI, totals that haven't been matched by a Royal in any calendar month since September of 2009 (Billy Butler)...Recorded a 10-game hitting streak - one shy of his career high - from May 6-17, batting .366 (15-for-41)...Had an RBI in a career-high five straight games from May 28-June 1, with a total of nine RBI...Matched a career high with four hits twice: on May 24 at Minnesota and Aug. 14 at Minnesota...Hit .320/.370/.457 (56-for-175) vs. American League Central foes and just .261 (58-for-222) vs. all other opponents...Batted .377/.459/.525 (23-for-61) with seven extrabase hits and 13 RBI over his last 17 games before inflammation in his left wrist ended his season prematurely...His .341 average (29-for-85) during day games ranked fourth in the American League (min. 85 at-bats)...Batted .352 (31-for-88) in the first inning, seventh best in the Majors and fourth best in the American League (min. 85 at-bats)...Had two walk-off RBI (both singles): May 3 in a 7-6 win over the Nationals and Aug. 10 in a 3-2 win over the White Sox in 14 innings, his fourth and fifth career walk-off RBI…he's the first Royal to record multiple walk-off RBI in one season since Alex Gordon had three walk-off RBI in 2013...When he was placed on the 15-day DL on June 28, he was tied for the Major League lead in game-winning RBI (10) and go-ahead RBI (16)…he finished the season with 13 and 20, respectively...Had 56 RBI in 397 at-bats, or one RBI every 7.09 at-bats, the best rate of his career. Signed a two-year contract on January 15, 2016, avoiding arbitration...Had another stellar season, earning selection to his first All-Star Game in July...was the American League's starting right fielder in the Midsummer Classic, collecting a pair of hits, including an RBI double...Finished third in the American League MVP voting by the Baseball Writers Association of America (BBWAA)...it was the highest a Royals player has finished in the voting since George Brett was the runner-up to Don Mattingly in 1985...Set career highs in nearly every offensive category, including runs (101), hits (169), doubles (34), homers (16), RBI (72), batting average (.307), on-base percentage (.361) and slugging percentage (.477)...hit over .300 for the second straight season after batting .301 in 2014...He was one of the top hitters in the American League, ranking fifth in batting average, tied for fifth in runs scored and second in stolen bases (28)...became the first Royal to score 100-plus runs in a season since 2011, when Melky Cabrera (102) and Alex Gordon (101) both did it...Swiped 28 bags for the second-straight season...his 56 steals over the last two years ranks ninth in the Major Leagues...Led the league hitting .372 (67-for-180) with two outs...his two-out average was the third-highest in franchise history and top total since Felix Jose batted .386 with two outs in 1994...he also tied with teammate Eric Hosmer for fourth in the A.L. with 67 two-out hits, while his 44 two-out runs were third in the league...Batted .353 (49-for-139) during day games, which ranked fourth in the American League...had an even 1.000 OPS (.424 OBP, .576 SLG) during day games, which was the sixth-highest in the A.L...He also ranked sixth in the American League, batting .335 against left-handed pitching...he had a .568 slugging percentage vs. southpaws, collecting 28 extra-base hits...Batted .337 at Kauffman Stadium, highest by a Royals player since Billy Butler hit .362 at home in 2009...Named the Royals Majestic Player of the Month for July, batting .367 (33-for-90) during the month with eight doubles, two triples, five homers and 22 runs scored...his July average is the highest in a single month of his career...Hit .313 (147-for-470) vs. American League foes, including .333 (38-for-114) with a .509 slugging percentage vs. A.L. East clubs...Recorded a career-best 11-game hitting streak August 22-September 3, batting .395 (17-for-43) with a double, two homers and 10 RBI during that stretch...also opened the season hitting in his first 10 games...Set a career high with five RBI May 15 vs. the New York Yankees...matched a career high with four hits, including a double and a home run, on August 11 vs. Detroit... Recorded his second multi-homer game on September 11 in Baltimore, hitting a pair of solo shots...set a career high with four runs scored in that contest...Collected his third career walk-off hit, with an RBI single to plate the winning run in the 10th inning on September 23, a 4-3 win over Seattle...Suspended for five games for his part in an on-field altercation at U.S. Cellular Field on April 23...it was the first suspension of his career. Lorenzo enjoyed a breakout year in his fourth season with the Royals...Named the Les Milgram Royals Player of the Year by the Kansas City Chapter of the BBWAA...Set career highs in games played (133), runs (55), hits (142), doubles (29), triples (4), RBI (53) and stolen bases (28)...Led the team with a .301 batting average, the only Royals regular to hit over .300 this season...Ranked eighth in the American League, hitting .312 during night games, and was tied for 15th in the league, batting .320 (40-for-125) with runners in scoring position...Collected a career-high 27 infield hits, which tied for third in the American League with Baltimore's Adam Jones and Chicago's Adam Eaton...Also recorded a career high 28 steals, good for eighth in the league...he swiped 21 bags after July 1, which was tied for fifth-most in the Majors in that span...Hit .359 (28-for-78) with runners in scoring position over the 'first half' of the season, which ranked seventh in the American League...Batted over .342 in both April (13-for-38) and May (26-for-76), marking the first time in his career he's hit over .300 in consecutive months...He also batted .305 (25-for-82) in August and .315 (28-for-89) in September...Missed 17 games in April and early May with a left groin strain, going on the 15-day disabled list on April 16...He was reinstated May 5 and went 4-for-5 at San Diego, his first game of the season with four hits...Collected four hits in a game five times during the season, tying him for the Major League lead...He recorded a career-high three doubles vs. the Angels on June 27, the first Royal to do that since Billy Butler on September 5, 2012 vs. Texas...later in the season, Omar Infante also achieved that in Colorado, August 19...Hit the Royals' first inside-the-park home run since 2010, and the first of his career, on September 8 at Detroit off Justin Verlander...Recorded his second career walk-off hit, September 15, driving in the winning run with an infield hit in the ninth inning in a 4-3 win over the White Sox...Collected a career-high eight outfield assists, which tied for 11th in the A.L...He topped his previous career high of seven from 2013...His .949 zone rating was the third-highest among qualifying Major League outfielders, behind only Oakland's Josh Reddick (.953) and teammate Jarrod Dyson (.953). Lorenzo got off to a fast start, but battled through injuries during much of the season...batted .325 (25-for-77) withsix doubles, a homer and 12 RBIs in April...hit just .227 with 13 extra-base hits after June 1... Played in a career-high 115 games, despite missing 24 games from August 10-September 4 with a pulled oblique...set career highs in runs scored (54), doubles (21), triples (4), RBI (46) and stolen bases (14)... Batted .292 (28-for-96) with a .346 on-base percentage when leading off an inning...also batted .292 (38-for-130) during day games... Named a finalist for a Rawlings Gold Glove in center field...ranked third among A.L. out?elders in zone rating (.923)...had a career-best seven outfield assists, topping his career total heading into the season by one. Blasted a game-tying 2-out, 2-strike home run in the ninth inning off Detroit's Jose Valverde on June 12, helping KC to a 3-2 win in 10 innings. Hit his first career grand slam on July 4 off Cleveland's Ubaldo Jimenez as the Royals erased a 6-1 deficit in an 11-8 win. Lorenzo struggled with injuries in playing just 61 games in 2012...opened the year as the starting center fielder, butplayed in 5 games before injuring his groin on a spectacular catch in Oakland on April 10...missed 78 games dueto a left groin strain and a torn left hip flexor while rehabbing in the minors, returning to play on July 13...Strained his right hamstring on September 13 and missed the remainder of the season...ended the campaign 14-for-37 (.378) with an active and career-high 8-game hitting streak...Hit a pair of home runs in Chicago on September 7 highlighted by a 2-run blast in the ninth to give the Royals the win...it was his first career 2-homer game. Lorenzo spent the majority of the season with Omaha before appearing in six games for the Royals following hisrecall on September 21...Played in the Royals final six games of the season, starting in center twice and in right four times...Was the center fielder for the PCL Champion Storm Chasers, finishing second in the league with 13 outfield assists...named the 2011 Fran White Award winner as the organization's top defensive player...Hit .438 (14-for-32) with 3 doubles, 2 triples and 4 RBI in 7 playoff games for the Chasers. Opened the season at Huntsville (AA) and was scheduled to start the Southern League All-Star Game before beingpromoted to Nashville (AAA)...made his Major League debut on July 16 as a pinch hitter at Atlanta...His 11 doubles were the third-most in the Majors among players with less than 170 plate appearances while hisseven stolen bases were tied for third. Entered the season as the sixth-best prospect in the Brewers organization according to Baseball America...Batted .218 with 4 HR and 19 RBI in 60 games between Double-A Huntsville, Rookie AZ Brewers and Class-A Wisconsin...Began the season on the disabled list due to a hamstring injury suffered at the end of spring training...was on the DL from 4/9-4/19...Was assigned to Huntsville but returned to the DL on 4/24 after suffering a slight tear of the posterior cruciate ligament in his left knee on 4/23 at Carolina...the injuryoccurred while diving for a fly ball...reinstated on 7/3...Following the season played for the Peoria Javelinas in the Arizona Fall League...Enters the 2010 season as the eighth-best prospect in the Brewers organization according to Baseball America. Made his professional debut in 2005 for the Arizona Brewers (R) and was named the Arizona League MVP, pacingthe circuit in hits, runs, doubles, extra-base hits, total bases (116) and slugging percentage. July 8, 2018 Milwaukee Brewers activated CF Lorenzo Cain from the 10-day injured list. June 26, 2018 Milwaukee Brewers placed CF Lorenzo Cain on the 10-day disabled list. Left groin strain. January 26, 2018 Milwaukee Brewers signed free agent CF Lorenzo Cain. November 2, 2017 CF Lorenzo Cain elected free agency. July 29, 2016 Kansas City Royals activated CF Lorenzo Cain from the 15-day disabled list. July 27, 2016 Kansas City Royals sent CF Lorenzo Cain on a rehab assignment to Omaha Storm Chasers. June 29, 2016 Kansas City Royals placed CF Lorenzo Cain on the 15-day disabled list. Left hamstring strain. May 6, 2015 Kansas City Royals activated CF Lorenzo Cain. May 3, 2015 CF Lorenzo Cain roster status changed by Kansas City Royals. May 5, 2014 Kansas City Royals activated CF Lorenzo Cain from the 15-day disabled list. May 2, 2014 Kansas City Royals sent OF Lorenzo Cain on a rehab assignment to Omaha Storm Chasers. September 4, 2013 Kansas City Royals activated CF Lorenzo Cain from the 15-day disabled list. August 10, 2013 Kansas City Royals placed CF Lorenzo Cain on the 15-day disabled list retroactive to August 9, 2013. Strained left oblique. July 9, 2012 Kansas City Royals activated CF Lorenzo Cain from the 60-day disabled list. June 27, 2012 Northwest Arkansas Naturals sent OF Lorenzo Cain on a rehab assignment to Omaha Storm Chasers. June 22, 2012 Kansas City Royals transferred CF Lorenzo Cain from the 15-day disabled list to the 60-day disabled list. June 18, 2012 Lorenzo Cain assigned to Northwest Arkansas Naturals. April 22, 2012 sent CF Lorenzo Cain on a rehab assignment to Northwest Arkansas Naturals. April 12, 2012 Kansas City Royals placed CF Lorenzo Cain on the 15-day disabled list retroactive to April 11, 2012. Strained left groin. October 11, 2011 CF Lorenzo Cain assigned to Navegantes del Magallanes. September 21, 2011 Kansas City Royals recalled Lorenzo Cain from Omaha Storm Chasers. April 14, 2011 Lorenzo Cain roster status changed by Omaha Storm Chasers. April 7, 2011 Omaha Storm Chasers placed CF Lorenzo Cain on the 7-day disabled list. March 27, 2011 Kansas City Royals optioned CF Lorenzo Cain to Omaha Storm Chasers. 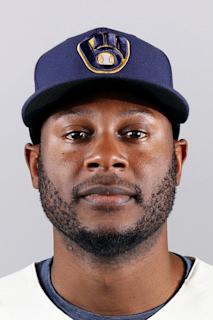 August 6, 2010 Milwaukee Brewers recalled Lorenzo Cain from Nashville Sounds. July 22, 2010 Milwaukee Brewers optioned Lorenzo Cain to Nashville Sounds. July 16, 2010 Milwaukee Brewers recalled Lorenzo Cain from Nashville Sounds. July 2, 2010 Lorenzo Cain assigned to Nashville Sounds from Huntsville Stars. May 13, 2010 Lorenzo Cain roster status changed by Huntsville Stars. April 28, 2010 Huntsville Stars placed OF Lorenzo Cain on the 7-day disabled list retroactive to April 26, 2010. April 8, 2010 OF Lorenzo Cain assigned to Huntsville Stars from Nashville Sounds. March 21, 2010 Milwaukee Brewers optioned CF Lorenzo Cain to Nashville Sounds. November 18, 2009 Milwaukee Brewers selected the contract of Lorenzo Cain from Huntsville Stars. July 21, 2009 Lorenzo Cain assigned to Huntsville Stars from Wisconsin Timber Rattlers. July 3, 2009 Lorenzo Cain assigned to Wisconsin Timber Rattlers from Huntsville Stars. June 29, 2009 sent OF Lorenzo Cain on a rehab assignment to AZL Brewers. April 8, 2009 Lorenzo Cain roster status changed by Huntsville Stars.